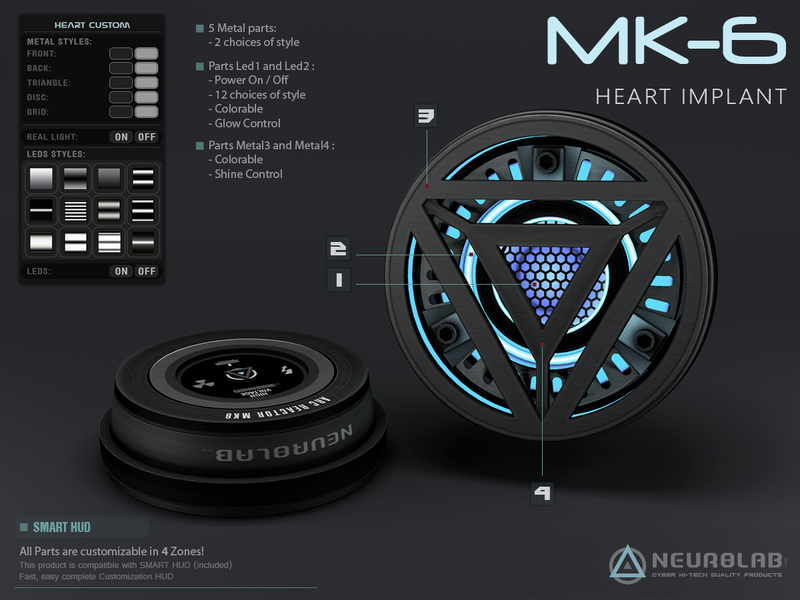 – The Heart come with a customization HUD “NEW SMART HUD” that lets you customize 4 different parts with unlimited colors to pick from. 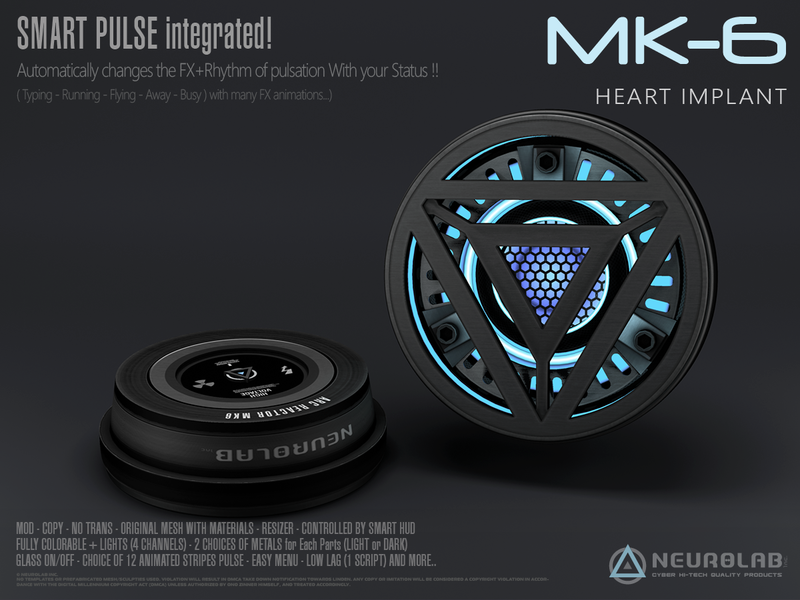 – It features 12 different Pulse designs and animations settings, These are all accessible via the HUD. – The heart is fully modify for you to fit to your avatar. You can also edit the glow as separate parts and give them your own color! – Resizer system, PERFECT fit to all avatars and Kids! – Fully customizable and Color-able. – Copy Modify. (Create an infinite number of unique color combinations to match your style). – Click to Heart to open “Menu setting”, then adjust your size, volume, Status setting and metal style. 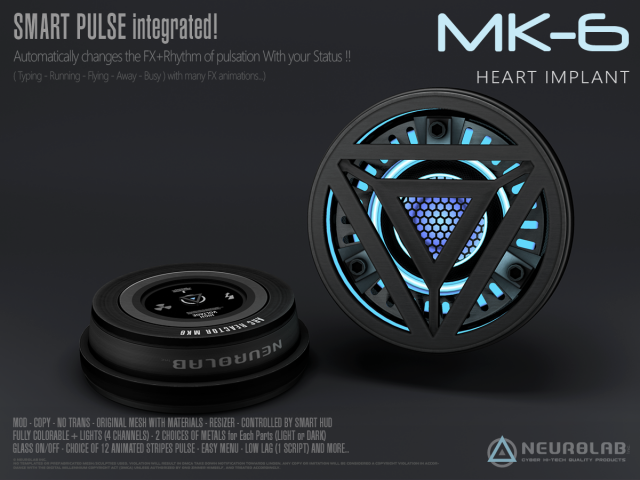 – Wear the Smart HUD, Click to “HUD CUSTOM” button to the Product menu for connect product and customize.